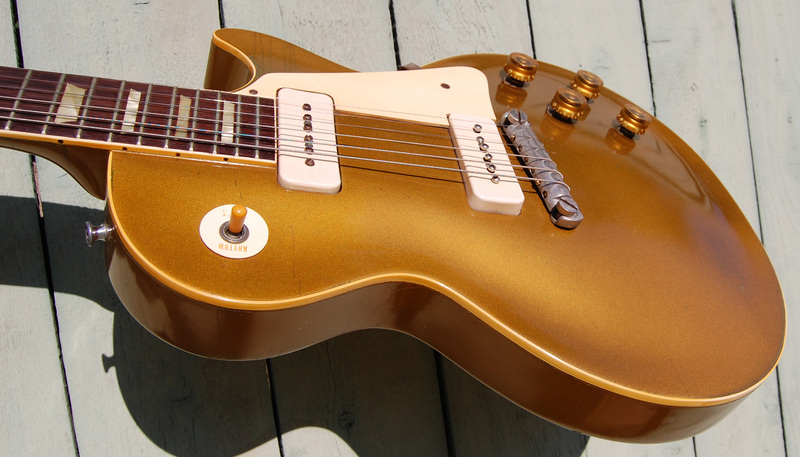 This is the extra rare all gold model. 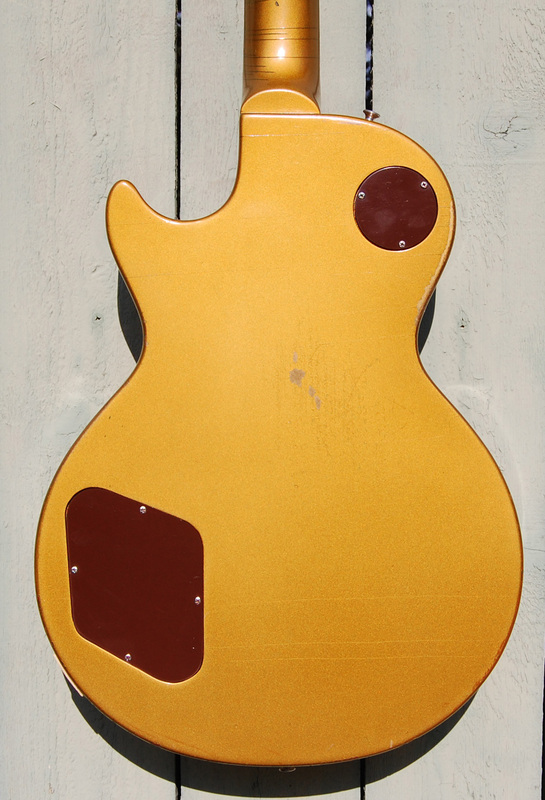 Gold top and gold back, sides, and back of neck. This guitar has been in storage for over 50 years. The screws are untouched. Almost zero fret wear. 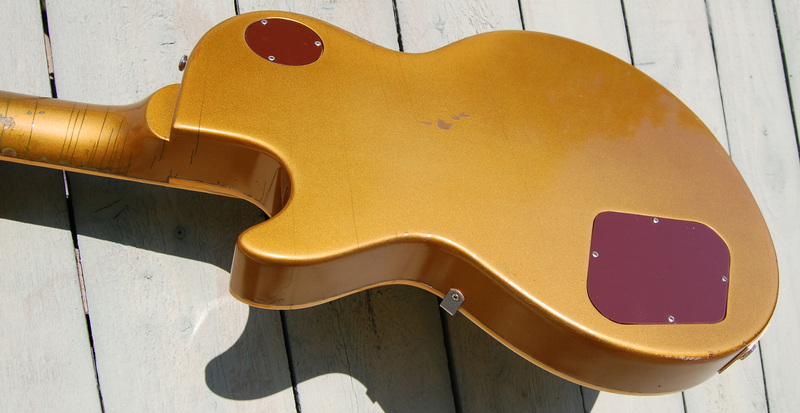 This guitar has a fat neck that feels great. Absolutely perfect intonation. Pickups sound fantastic. Weighs 8 pounds 11.5 ounces. Comes in original Lifton case with original hang tag and alan wrench. 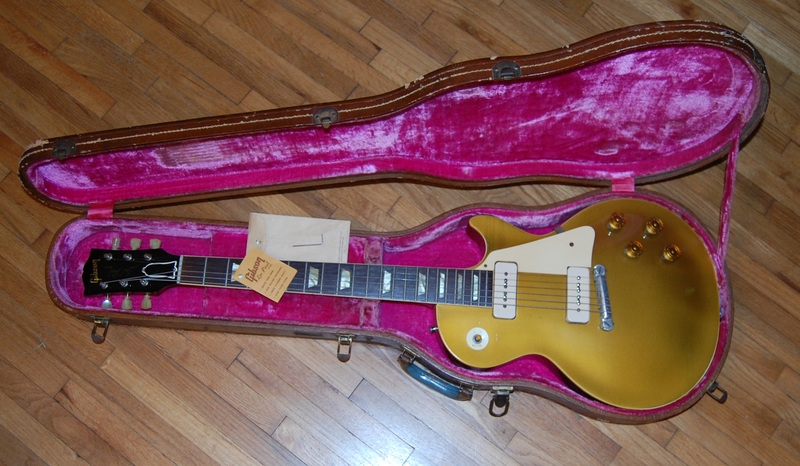 Here is a similar guitar on eBay that is only gold on the top and in not as good condition. 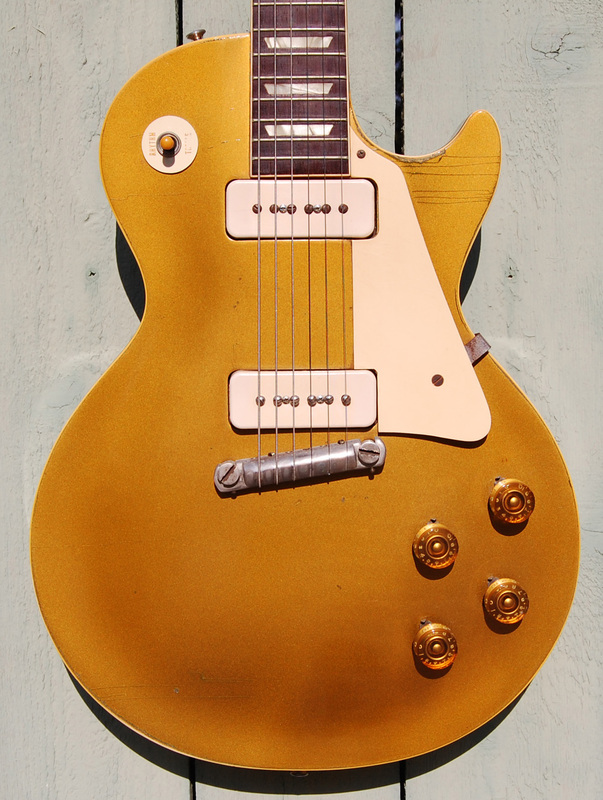 1954 Les Paul on ebay $100,000.